4v4 is a newer gametype in competitive TF2. It can be argued to be a preferable gamemode by those who play it, due to what is claimed to be a more relaxing gameplay and forgiving rules. UGC is the only league that currently runs this competitive gamemode. 4v4 is usually played with two teams of four. Although teams may experiment various lineup combinations as each combination provides various advantages and disadvantages against opponents and also different game plays. 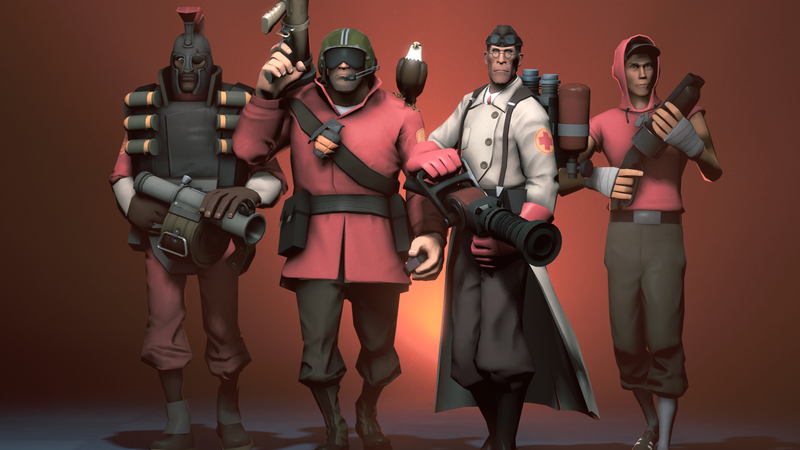 4v4's rules are similar to that of 6v6, the only differences being the disallowance of a Heavy-Medic combo and allowance of multiple offclassing.